A Virginia man faces charges for reckless driving and other criminal offenses after driving, running, and swimming to evade law enforcement, reported WTKR on June 29th. The incident in question occurred on Interstate 264 at Lynnhaven Parkway. The Virginia man was driving westbound when a Virginia State Police trooper tried to initiate a traffic stop. But the Virginia man refused to obey the trooper’s command. Instead, the Virginia man exited the interstate and turned onto Virginia Beach Boulevard. The man stopped his vehicle at an apartment building. Then he ran and jumped into a canal. He swam across the canal and hid from the police. With the help of a K-9 unit, Virginia State Police troopers were able to find the man. After taking him into custody, authorities charged the man with reckless driving, driving on a revoked license, and felony eluding police. While the man awaits trial, it seems like an ideal time to review Virginia laws and penalties for reckless driving, driving on a revoked license, and felony eluding police. The general definition of reckless driving appears in Code of Virginia Section 46.2-852. Essentially, this offense refers to driving conduct that is dangerous to other people or property. Stated otherwise, Section 46.2-852 imposes a general duty to drive carefully in Virginia. More than 80 miles per hour regardless of the speed limit. In most cases, reckless driving is classified as a Class 1 misdemeanor in Virginia. The maximum penalties for a Class 1 misdemeanor include a jail sentence of 12 months and fines of $2,500. Under Code of Virginia Section 46.2-301, it is unlawful to drive on a revoked or suspended license. Any person who violates Section 46.2-301 is guilty of a Class 1 misdemeanor. The potential penalties are the same as outlined previously. Though if a person commits three or more violations of Section 46.2-301, there is a mandatory minimum jail sentence of 10 days. The definition of felony eluding police appears in Code of Virginia Section 46.2-817. On a larger level, this section requires all drivers to obey directions and signals from law enforcement officers. If the driver disregards police commands — and subsequently interferes with or endangers any police officers — then it may qualify as felony eluding police. This offense is a Class 6 felony in Virginia. The maximum penalties for a Class 6 felony include a prison sentence of 60 months and fines of $2,500. If you have legal questions about reckless driving or similar offenses in Virginia, it is extremely advantageous to seek out a knowledgeable criminal defense attorney. The attorneys at Simms Showers LLP, servicing Leesburg, Winchester, Fairfax, and Manassas, have a wealth of combined legal knowledge in criminal defense, including driving on a revoked license, reckless driving, and felony eluding police. 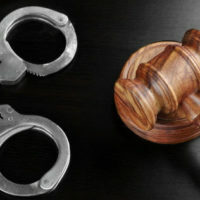 If you need legal help with criminal defense, contact us today for a free initial consultation.